Whether it’s your first investment property or one of many, why not consider purchasing a new home? They require little maintenance and come complete with warranties that cover everything. They’re often the better long-term value because you’re buying directly from the builder who has every incentive to offer and sell a high quality product at a reasonable price. Are you thinking of investing in new build homes? Here are some things to consider. Negotiating the price with a home builder is an entirely different process than working out a price on the resale market. Home builders are much less likely to drop the asking price they have printed on their sales brochures. Builders who have lowered sales prices in a subdivision for an individual buyer where sales are ongoing have suffered severe repercussions with others who have already closed. Instead, builders offer upgrades to home features instead. They regard this strategy as a win-win, since the builder enjoys the full markup of the upgrades and the buyer can choose among a long list of options like upgraded flooring and appliances. As an investor, steer away from options that spell maintenance down the road, like jetted-bathtubs or lighting fixtures that require a tall ladder for bulb changes and cleaning. When you work with a builder who has a wholly owned financing subsidiary, you can negotiate a better interest rate or buy downs in lieu of a lower selling price. If you’re buying a new home whose feature level meets the expectations of your targeted tenants, opting for more advantageous financing could be your best choice. Consider buying a spec home. Builders construct these homes to have inventory ready for someone who needs a home quickly. 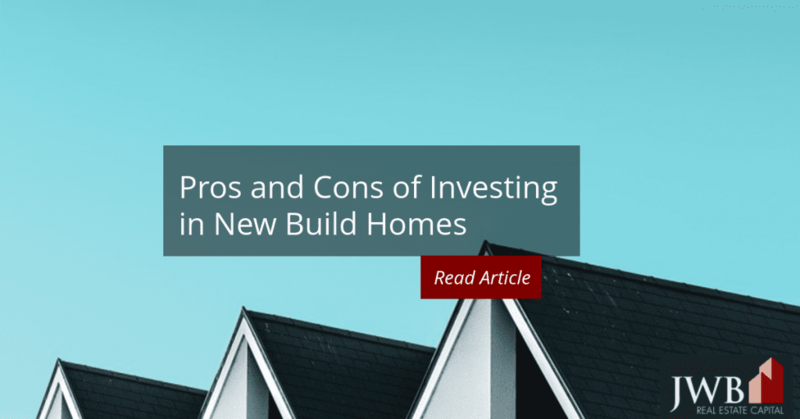 If no buyer appears and the home is close to completion, the builder is much more likely to offer incentives or financing discounts to sell it quickly. Although brand-new doesn’t necessarily mean hassle-free, new homes require far less service and repair. When something does go wrong, the warranty will cover it for at least a year and some up to 10. Tenants also like everything new. The home is clean, nothing is worn and everything works. There are no lingering odors from previous tenants and all the surfaces indoors and out are spotless. The home is likely to be much more energy efficient because of better building codes and construction quality standards. Many new home developments are in master planned communities where the developer provides an array of amenities for the residents. Parks, swimming pools, play areas, walking paths and community centers are standard features in most master planned communities. The live-work-play experience promotes a healthy lifestyle and sense of neighborhood that nearly everyone values. Most new homes subdivisions are located on the fringes of town, which could make commuting to the job centers in the city longer. Schools, services, and retail centers may not be built until the area starts to mature. Residents may have to drive further for some services. For many though, the newness of the area is enough to sacrifice short-term conveniences. Some communities have restrictions on the ratio of owner- versus renter-occupied units. Read the CC&Rs carefully and be aware that HOAs can change their rules down the road. It’s worth the time to explore new home neighborhoods to stay abreast of changes in the housing landscape (or better yet let a reputable turnkey property management company find a good investment for you). Understanding the new home market will give you a deeper dimension in terms of what’s new in housing design, function and materials to help you select your next property. Talk to one of our investment specialists to learn how JWB can help you earn passive income by investing in new build homes today.